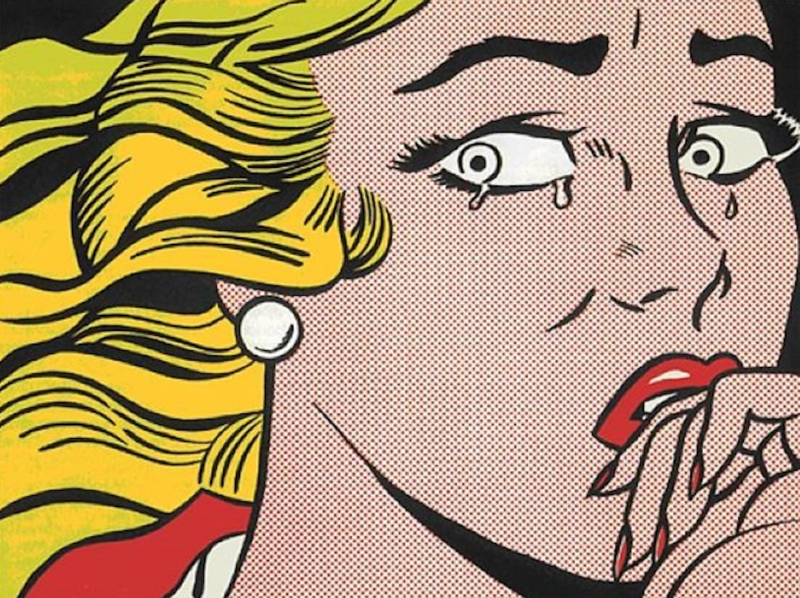 Crying Girl is one of Lichtenstein’s earliest comic style pop art prints using his unique incorporation of the Benday dot. In the early 1960s, Lichtenstein produced several “fantasy drama” paintings of women in love affairs with domineering men causing women to be miserable. These works served as prelude to 1964 paintings of innocent “girls next door” in a variety of tenuous emotional states.